Elsie sent me this fantabulous C10 wrapped temari covered in stars and sparkles. People see it and they have to pick it up. It even rattles! 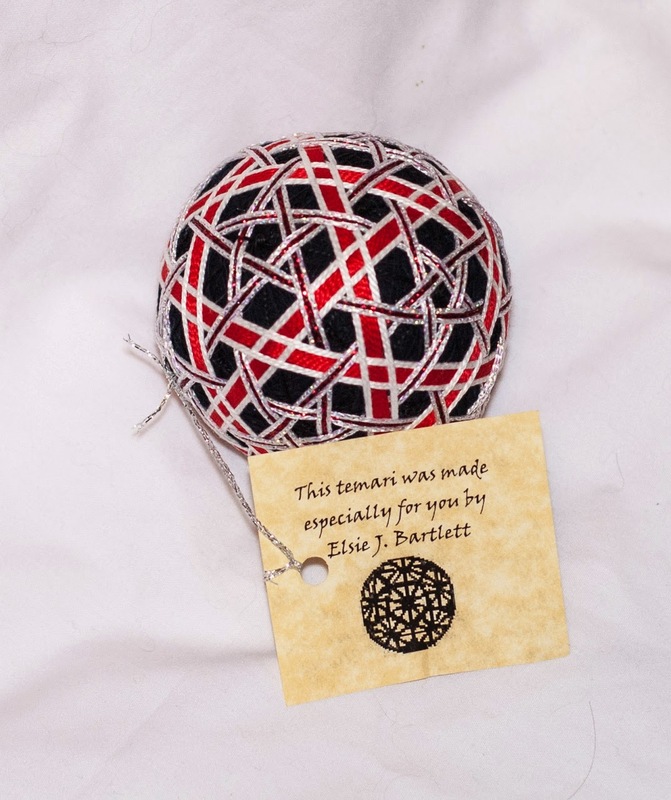 Thank you so much for the temari, Elsie!